Figure 1. 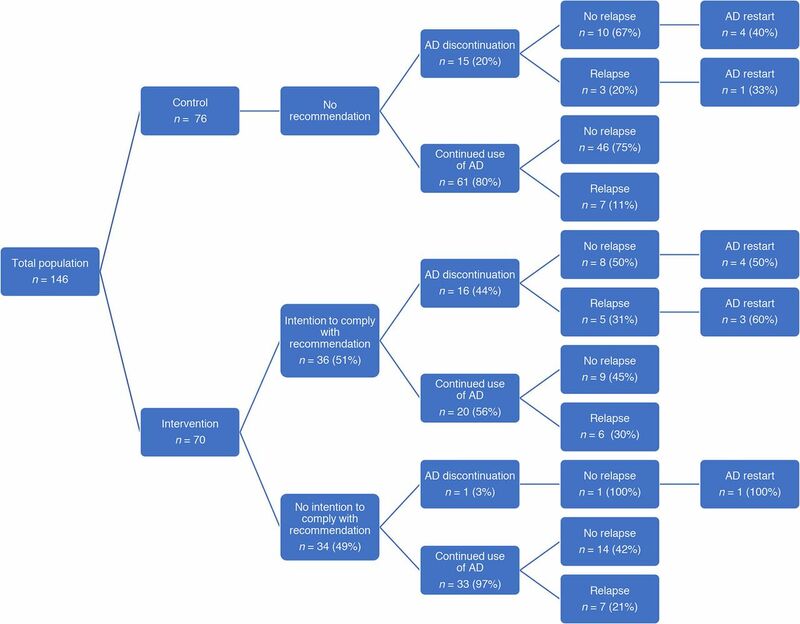 Flow diagram of practices and participants.aPost-randomisation patients did not meet inclusion criteria (human error during inclusion process). bPatients who did not complete follow-up interview. 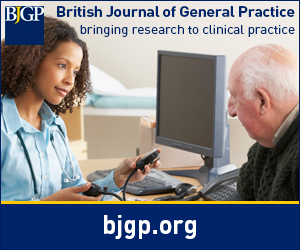 cPatients excluded with unknown primary outcome (due to dual primary outcome, excluded cases are less than patients lost to follow-up; that is, antidepressant use known via GP prescription database). dIntervention group restricted to patients with the intention to comply to recommendation and patients excluded with unknown primary outcome. Figure 2. 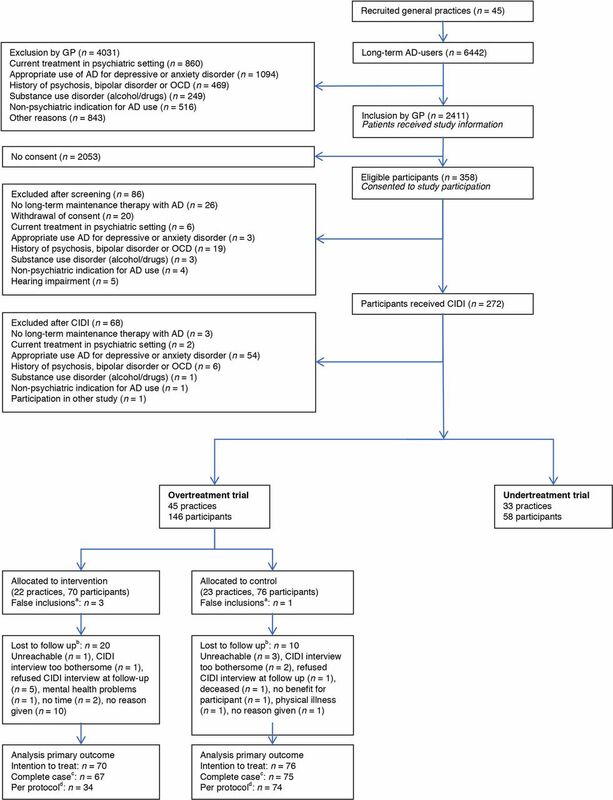 Patient flow and outcome in the overtreatment trial. In the intervention group 20/70 patients were lost to follow-up (12 in the group of patients with no intention to comply and 8 in the group with the intention to comply with the recommendation). In the control group 10/76 patients were lost to follow-up. AD = antidepressant.